I direct them personally, and with the help of my team. Eastern Visayas Wedding and Other Event Photographer. 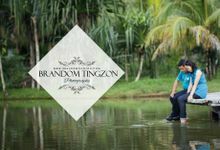 The Site exhibits photos of previous clients of Brandom Tingzon Photography a Tacloban LeyteBased Wedding Photographer.